Brian is a Partner and Head of Pantheon’s Asia and Emerging Markets Investment teams. 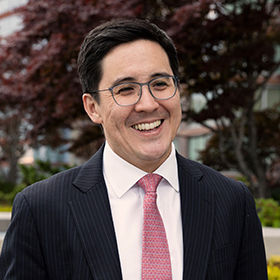 Prior to joining Pantheon, Brian worked as a Portfolio Director at CDC Group and before that worked at Watson Wyatt advising institutional investors on private equity and investment strategy. Brian is a Fellow of the Institute of Actuaries, holds a BSc in Actuarial Science from City, University of London, and a MBA from the London Business School. Pantheon is a longstanding investor across Asia and developing local economies committing over $3 billion of capital to 149 primary and co-investment GP funds since 1983, and has been physically present in the region since 1992. Today the firm has expanded its local presence to include Hong Kong, Seoul and Bogotá, and has expanded into new investment and geographic markets across the region. Pantheon manages just under $39 billion of AUM for its 495+ institutionally-focused global clients, of which around $4 billion is directed to Asia and Emerging Markets strategies. Having established its first dedicated Asia commingled fund in 1994, Pantheon has since established a total of nine Asia-focused commingled programs. The firm is an EMPEA Leadership Circle member and is active on three EMPEA Councils: Asia, Latin America and Africa. Brian Lim chairs the Asia Council and serves on EMPEA’s Board of Directors.